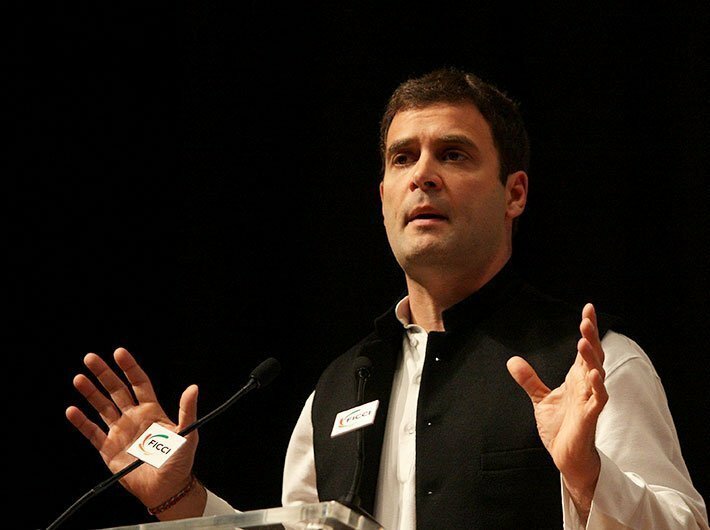 Recently, while addressing a rally in Mumbai, Congress president Rahul Gandhi took a dig at prime minister, Narendra Modi. Gandhi called the PM as a “watchman of a handful of superrich” and accused the PM of ignoring senior BJP leaders. “I feel bad for Advani ji... everybody knows who is the guru and mentor of Modi, but the prime minister doesn't accord respect to him even at official functions. It is me who follows protocol and I am always with him (Advani) during (such) events…. the Congress has given more respect to LK Advani than Modi-ji," said Gandhi. Earlier this week, the Congress president visited ailing Atal Bihari Vajpayee in AIIMS, New Delhi to inquire about his health. “Congress party fought against Vajpayee’s government but when he was sick we were the first to visit him. This is the ideology of Congress party. We respect our opponents,” he said. Gandhi also said that he is confident that Congress with the support of its allies will defeat BJP and emerge triumphant in the 2019 general elections. Taking a jibe at Modi's radio programme 'Mann ki Baat', Gandhi said, “The prime minister does not speak about 'kaam ki baat' like providing employment to youth or safeguarding farmers. It is the farmers who ensured the success of 'Make in India'. They will compete with China if you strengthen them a bit." He also attacked the BJP for not providing jobs to 2 crore young Indians in a year as promised by Modi during 2014 general elections. “China has been providing jobs to 50,000 youth per 24 hours. However, Modi gives jobs to 450 youth in the same span," he said. "The BJP-led government wrote off Rs 2.5 lakh crore loans of India's richest people but on a similar demand from farmers the union finance minister Arun Jaitley ji says that it is not their policy to waive off their loans," Gandhi said. Gandhi arrived in Mumbai earlier on June 12 for a court hearing at the Bhiwandi Magistrate Court in Thane where he pleaded ‘not guilty’ to a defamation charge by the RSS. Gandhi is accused of defaming the RSS by purportedly blaming it for Mahatma Gandhi’s assassination at an election rally in 2014 and was charged under the sections 499 (defamation) and 500 (punishment for defamation) of the Indian Penal Code.